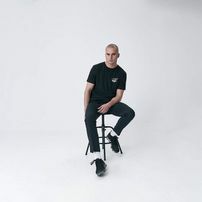 Men’s T-shirts with short sleeve are the most popular piece of menswear at all. 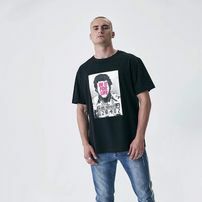 By T-shirt you can perfectly express your style, extravagance, subculture or just underline your uniqueness. The amount of designs, colors, printings and details create an infinite number of combinations. You can wear T-shirts to school, office, parties, sports, beach and to bed. 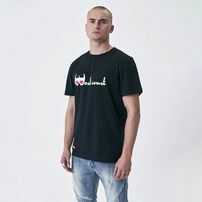 T-shirts are for casual wear and therefore they are not suitable for the formal social events such as weddings and etc. If you want to make your outfit look sporty-elegant, you can wear a men's T-shirt without printing underneath a shirt or jacket. T-shirt is the best way how you can achieve it. It´s affordability compared to other types of clothing is a big advantage. 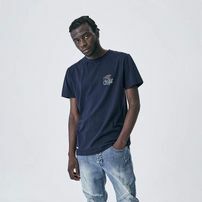 One pair of jeans you can wear with, for example, 20 different T-shirts and with the right choice of accessories, such as stylish cap, you will always have an original outfit. 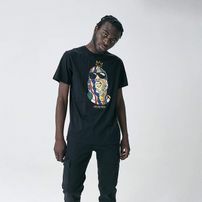 Remember that from your whole outfit it is a T-shirt that everybody notice first. Everyone wants to have an original, quality fresh T-shirt, in which will look best. You want to underline your personality and style. Our shop specializes in designer T-shirts that have quality material, original design and a fit well. Most customers prefer loose-fit men's T-shirts, but never boring. 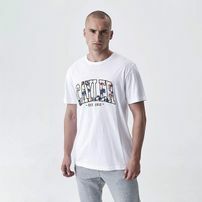 Men's T-shirt with funny motives entertain people, while T-shirt with a large photo, tell your style. 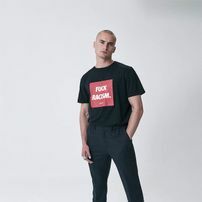 T-shirt with a bright slogan show the way you think. If you want to be casual but serious, choose a T- shirt with V-shaped neckline. 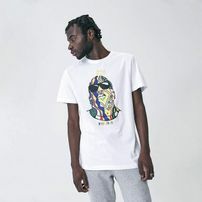 Look carefully through all T-shirts on Gangstagroup.cz. 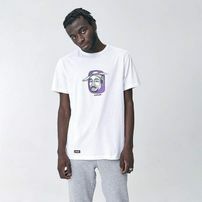 We offer a collection of fashion brands that are designed for hip hop, sport, fashion and street. 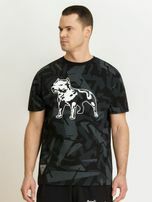 The most popular brands include T-shirts Air Jordan, Dyseone, Thug Life, Rocawear, Amstaff, Nike, Bangastic, Dangerous DNGRS, Mr.Tee, Urban Classics and Wu-Wear. 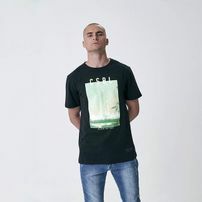 If you are looking for a designer men's T-shirt for a party, T-shirt for basketball, T-shirt for street dance or just the best men's T-shirt to wear, you will certainly choose from our offer. 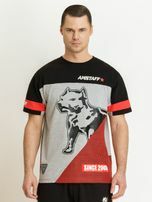 Generally, T-shirts are sold in sizes S, M, L, XL, 2XL and 3XL. 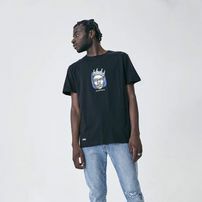 Some brands also offer oversized T-shirts 4XL, 5XL and 6XL or extra small sizes XXS and XS. 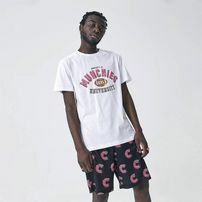 There is no universal size chart for the t-shirts in the world. 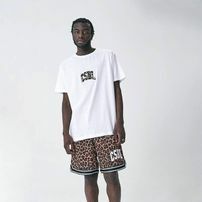 Each brand uses its own sizing for the T-shirts, which in addition may be different for each design. The easiest way to select the right size is your own experience, ie. if you already have clothes from a particular brand, then you buy the same size regularly. But if it is a new brand and you opt for a size, you will find our size chart useful. 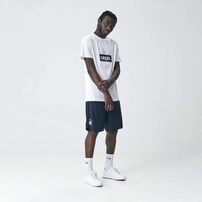 The size chart of each T-shirt is listed separately (under the name of goods, next to photo). 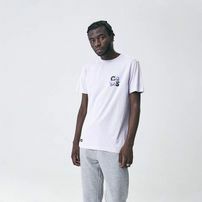 In the size chart you will find the length and width of the T-shirt. Compare it with the length and width of the T-shirt that you have at home. Of course, compare only with the T-shirt that fits you well and make you comfortable. Never compare the size chart with your body measurements (clothes are looser and always have a few cm more than your body). 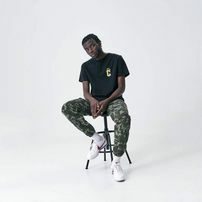 In our new offer you will find men´s collar T-shirts, long sleeve T- shirts, extended T-shirts and the Wu-Tang men's T-shirts. 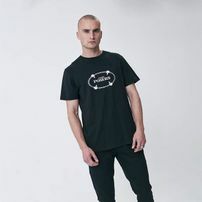 Combine men's T-shirt with stylish trousers and success is guaranteed. Simple, right?